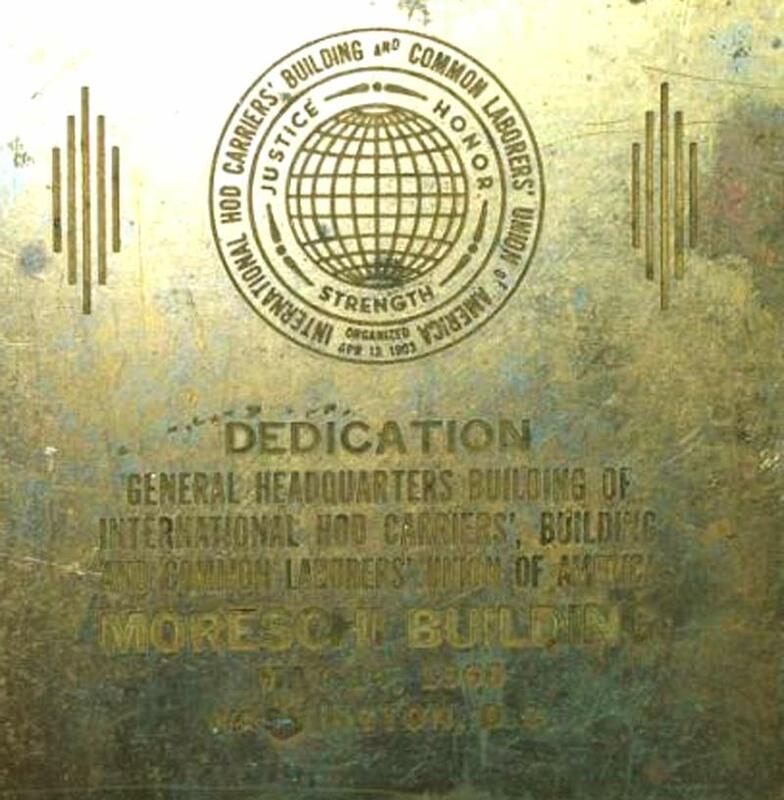 The Moreschi Building, located at 905 16th Street, N.W., in downtown Washington, D.C., serves as headquarters of the Laborers' International Union of North America (LIUNA). The modernist office building was constructed in 1959 and dedicated in 1960. 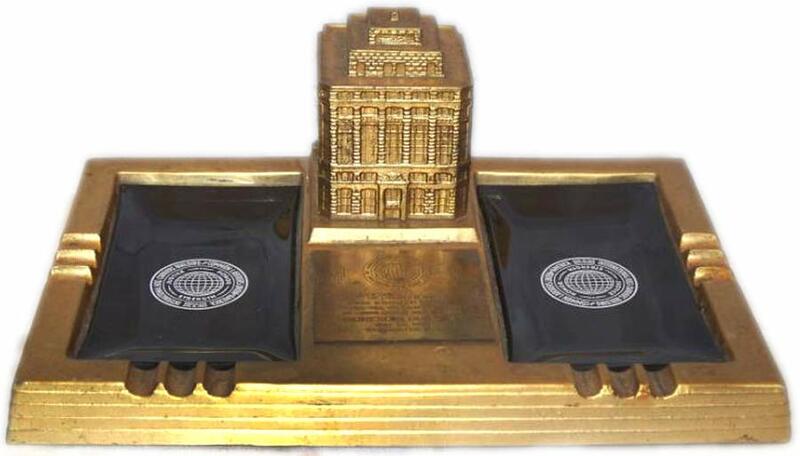 To commemorate that dedication, a miniature replica of the building was produced as a souvenir of the event. Made of pot metal, the Moreschi Building replica measures 10 1/4 by 6 3/4 and is 4 inches tall. 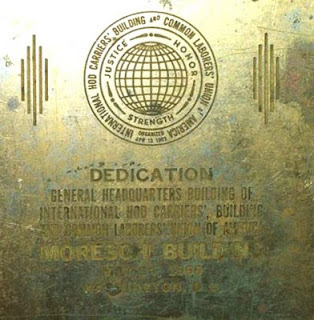 An attached plaque reads, "DEDICATION GENERAL HEADQUARTERS BUILDING OF INTERNATIONAL HOD CARRIERS BUILDING AND COMMON LABORERS' UNION OF AMERICA MORESCHI BUILDING MAY 14, 1960 WASHINGTON, D.C." A pair of removable black glass ashtrays rest on either side of the building miniature. LIUNA, often shortened to just the Laborers' Union, is an American and Canadian labor union formed in 1903. As of 2005, they have about 700,000 members, including about 80,000 in its Mail Handler's division and about 80,000 members in Canada. Yes SD, its in a great location just blocks from the White House.